Youth is a gift of nature, but age is a work of art. And so we work on that masterpiece since we are born. Let’s have a look at novelties from A-Derma, Phyto and Lierac, created for different ages, but with the same aim to protect and care. A-Derma presents Expert care for babies’ fragile skin. A-Derma is a well-known dermato-cosmetological brand of Laboratories Pierre Fabre, the second largest French pharmaceutical company. And it is one of my favourite brands, when it comes to a daily routine of sensitive, atopic and fragile skin. It protects and cares equally for skin from infants to adults. A baby’s skin has the same structure as an adult’s skin, but it does not yet have all of its functions. It needs at least three to five years to develop its strength and protective barrier. And only at puberty, the skin of children finally forms into the adult skin. At birth, the skin is much thinner. For example, the stratum corneum (the top layer of epidermis) is five times thinner than that of an adult. The hydrolipidic film is also thinner. Therefore, skin loses its moisture much faster, and that can cause dehydration and irritation. The baby’s skin is more fragile. The cells on the top layer of epidermis are not joined together so well, hence less resistant to the aggressive environment. The sebaceous and sweat glands of babies are less active and therefore produce less lipids. That makes babies more sensitive to pathogens and can lead to infections or skin irritation more quickly. The dermis is three times thinner. 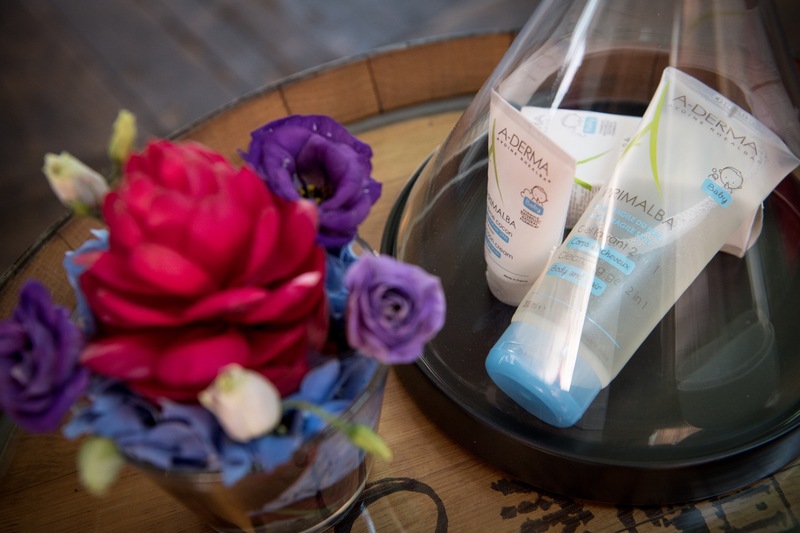 PRIMALBA is a new line of A-Derma, developed for care and protection of fragile babies’ skin. GENTLE CLEANSING GEL cleanses the skin of babies and helps gently restore the acid mantle of their skin. It also doesn’t sting the eyes, making cleansing more enjoyable. In Switzerland, the product will be available from fall in two sizes: 200 ml and 500 ml, with the price around CHF 15.- and CHF 21.90 accordingly. GENTLE CLEANSING LOTION – a daily super gentle hygiene product that cleanses and softens babies’ skin. Does not have to be rinsed off. It will be available in Switzerland at the price around CHF 21.90 for 500 ml. GENTLE COCOON CREAM hydrates, calms and protects babies’ skin throughout the day. The cream will be available in two sizes: 50 ml and 200 ml, with the price around CHF 9.90 and CHF 18.50 accordingly. NAPPY CHANGE CREAM protects the skin with every change of diaper. After each diaper change, use this cream to keep the especially sensitive and stressed skin healthy. The cream isolates the skin from sources of irritation (like urine and stool). However, it leaves the skin free to breathe. Moreover, it reduces redness and moisturises the skin. It will be available at the price around 14.90 for 100 ml. With age, our skin goes through some inevitable transformations. Both the cell ageing and the environment are effecting functioning of the skin, its self-defence and repair systems. As a result, the cell regeneration slows down, the skin loses its elasticity, density and volume. Also, it becomes thinner, dryer and finely lined. The skin losses its elasticity and firmness, due to the ageing changes in the dermis, the reduced production of collagen and elastin, deformation of their structure and decreased activity of the intercellular dermal matrix. When the skin loses its elasticity fine lines become more pronounced. In time, they turn into permanent wrinkles. Another morphological sign of age is the loss of volume (lipoatrophy), that leads to the tissue sagging. That plus gravity results in drooping off the eyebrows and eyelids, looseness under the cheeks and jaw (jowls and “double chin”), longer ear lobes, also the nasolabial fold increases and leads to the so-called puppet wrinkles. Nowadays, the most visible and long-lasting results for correction these morphological changes would be the combination of proper professional treatments (like cosmetological lifting, injections, lasers, surgeries) and regular home skin care routine. 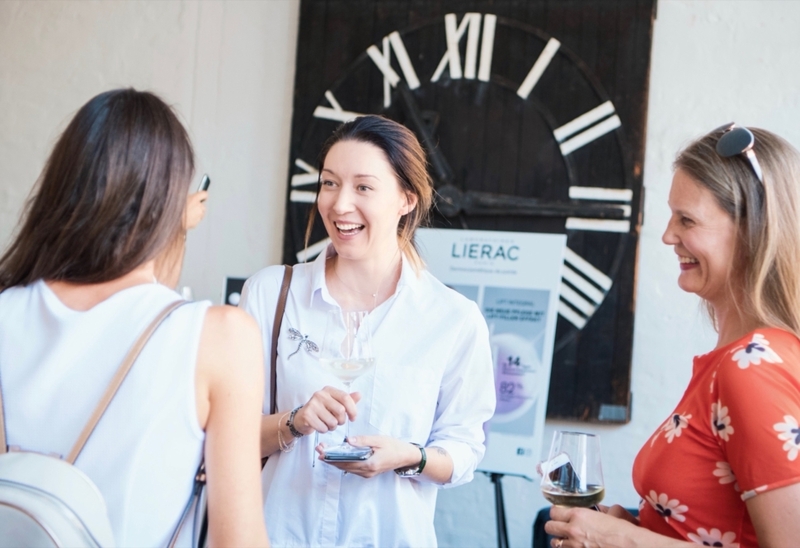 Lierac presented a new line: Lift Integral. For the visible lift-injection effect, the brand has DEVELOPED a special complex, that consist of Mahony extract, Purple Tulip extract and Hyalu-3 Concentrate. LIFTING-SERUM – concentrated serum, that contains the special complex of Mahony extract, Purple Tulip extract and Hyalu-3 Concentrate for booting elasticity and skin firmness. EYE LIFT SERUM – this light serum lifts the eye area and corrects wrinkles caused by sagging. SCULPTING DAILY LIFT CREAM – for normal and dry skin. After one month of a regular use, the skin is lifted and become tighter, smoother and hydrated. RICH RESTRUCTURING LIFT CREAM – for dry and very dry skin. Improves the face oval, reduces wrinkles and moisturises the skin. LIFT INTEGRAL FLASH MASK – the active firming ingredients in this mask is twice concentrated than in SCULPTING DAILY LIFT CREAM. It is a cream-mask, therefore depending on the skin type, don’t need to be washed off and can be left on the skin . You may check other Lierac products for detox and hydration -> BEAUTY PRODUCTS OF THE MONTH FOR DETOX AND HYDRATION. PHYTO Paris launched its latest product line: PHYTOMILLESIME. PHYTO Paris is the pioneer of hair care products based on the efficacy of plants. The brand has created a new protective and hydrating product line specially designed to care for colored hair. This is a unique anti-fading care system that protects, cares for and repairs colored hair. Because with the right care, you can not only extend the life of the color intensity, but also protect the hair from additional stress. The active ingredients of PHYTOMILLESIME are 95% vegetable and natural origin and are obtained, among others, from apple blossoms, the Swiss Redlove apple and hibiscus flowers. The line contain 5 products, among those is PHYTOMILLESIME PRE-SHAMPOO, the first color pigments fixer that applied before washing. Other products are: PHYTOMILLESIME SHAMPOO, PHYTOMILLESIME MASK, PHYTOMILLESIME CONCENTRATE (leave-in) and PHYTOMILLESIME COLOR PROTECTION SPRAY (leave-in). Today, we can more effectively treat our skin and hair by understanding the actual STRUCTURE and biochemical reactions that trigger specific changes. Stay tuned on worldofjulia.com for more information about novelties and latest beauty products.